Miss Print: Bag Making + the Giveaway Winner! Bag Making + the Giveaway Winner! Hey y'all! How's it going? While going through pictures on my iPhone today, I discovered that I hadn't shared any pictures of the Super Tote that I made before heading off to Quilt Market. Frankly, I think Instagram is having a detrimental effect on my blogging - I take pictures of the things that I make (or am in the process of making), post them to Instagram, and then completely for to post them to my blog! Bad. With that said, I'm going to share a few of the pics that I took that day while making it! 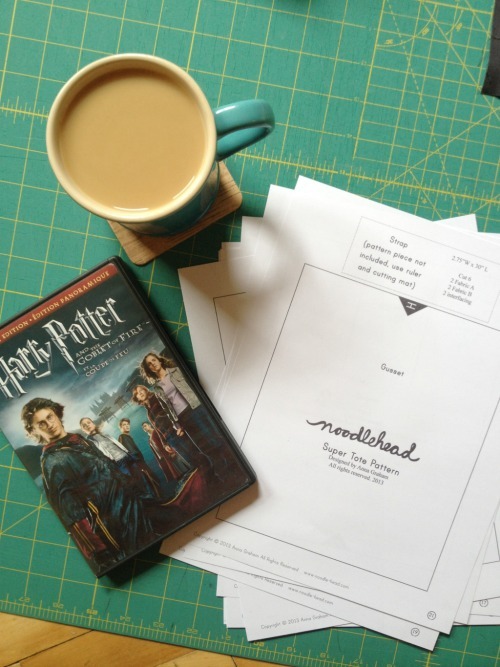 I watch a lot of Harry Potter while sewing (I also tend to drink a lot of coffee)! 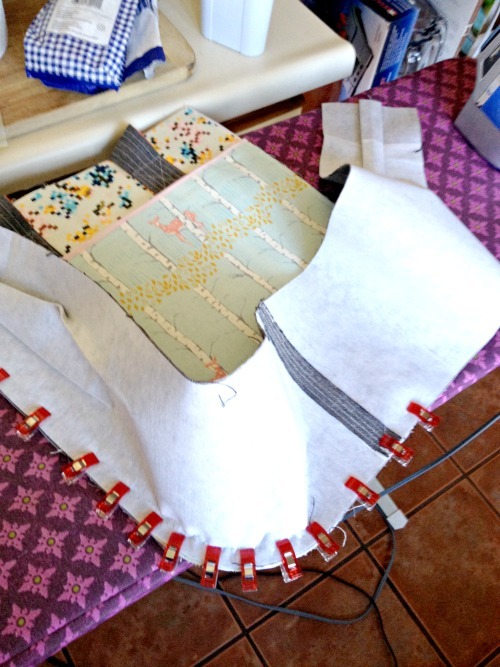 Anna's Super Tote pattern is absolutely one of my most favourite bags to make - the pattern pieces go together so easily and the instructions are just fab! The Clover Wonder Clips make this stage of making this bag soooo easy! 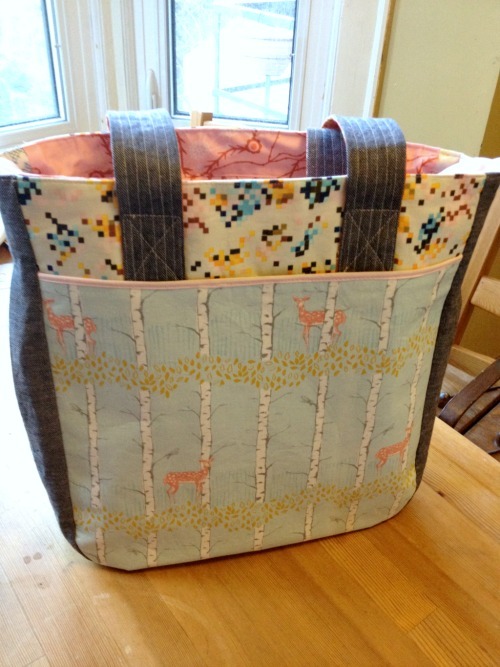 The first time I made a Super Tote I didn't have Wonder Clips and just used pins - it was super frustrating. I also use these while hand sewing binding and they work great! I used fabrics by Sarah Watts and Jay McCarroll for the outside, along with some wool suiting for the sides and outer handles. 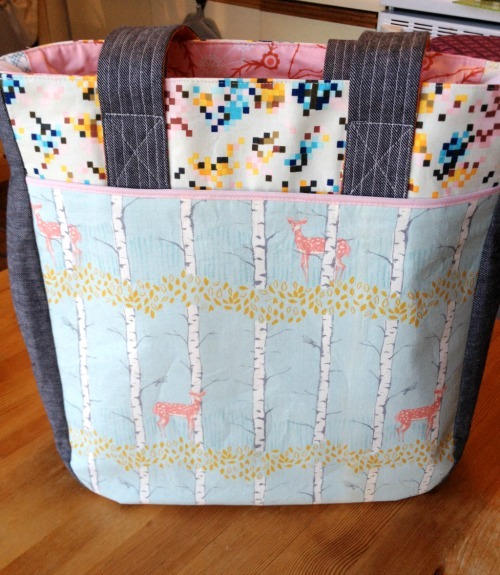 The interior (lining, pockets, zipper bands, and reverse of the handles) features three prints by Anna Maria Horner. 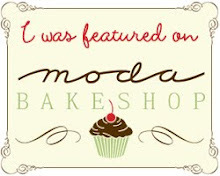 I still carry this bag everyday and just love it! I was going through my Quilt Market pictures, and it's quite funny, but my Super Tote doesn't show up in any of the pictures - it's always hidden by someone else! Congratulations Adrienne! 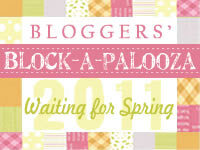 Please email me with your details and FQS will ship your thread box out!